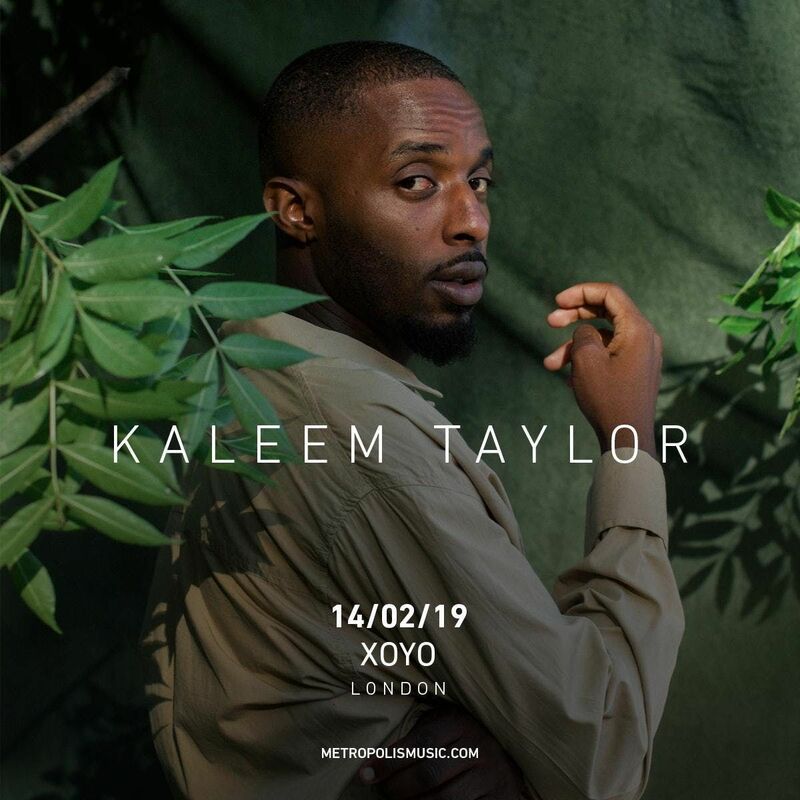 Kaleem Taylor cut his teeth making Neo Soul before a feature on Tchami’s Fool’s Gold-released club hit ‘Promesses’ in 2013, which charted in the UK top ten two years later, took his voice around the world. Having had his horizons broadened by the success of the collaboration, the Hertfordshire vocalist has since gone on to work with boundary-pushing producers such as Snakehips, Memeb, Shy Luv and The Code, as well as sharing stages with the likes of Miguel, Boyz II Men and Ryan Leslie. “I’ve been testing the waters for a little while, and my music now is a little broader than the releases I started out with,” he says. “I just want people to listen and have an opinion. I’m coming from an honest place, and I just hope that those who enjoy the music can too.” Kaleem’s latest EP “Version” was released in December 2017 and has accumulated over 600,000 streams across Spotify alone. Kaleem's voice sits well with the crystal clear production by The Code. Each track tells a different musical story creating personal response with his audience. Pushing a powerfully evocative electronic vibe each time around, the like of “Broken Mirrors” and “Still Love” are two of the best additions, in our opinion. Kaleem performed “Version” at a sold out Hoxton Square Bar & Kitchen in his debut headline show.